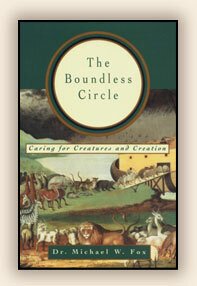 In this moving and original book, veterinarian Dr. Michael Fox explores spirituality's relationship to animals and the environment by showing us that all creatures are inhabitants in God's world. Examining the impact of St. Francis of Assisi, the writings of Thomas Aquinas, and the perspective of indigenous cultures, Fox argues that it is not pantheism which will be the world's ecological salvation, but panentheism, the seed idea within the mystical tradition of all major religions, a philosophy which states that it is not God which inhabits the world, but the world which inhabits God. Some of us feel a kinship with animals, seeing them as part of the same process of Creation as ourselves. Others see humans as superior and animals as "ours" to exploit by right. Both views claim divine authority. Through his probing exploration of the spiritual and philosophical roots of animal rights, Michael Fox shows that humane and compassionate treatment of the animal world is both a spiritual and a survival imperative. "A superb presentation of the depth of concern that we need to have for these magnificent beings that share our journey through life." "If anyone ever asks me again why I care for animals or why anyone should, I'll offer this book as my explanation…From cover to cover, this book is a boundless jewel." Michael W. Fox, D.Sc., Ph.D., B.Vet.Med., M.R.C.V.S., well-known veterinarian, former vice president of The Humane Society of the United States, and former vice president of Humane Society International, is the author of more than 40 books on animal care and behavior - including The Healing Touch for Dogs and The Healing Touch for Cats.